Allen Lee Blanchard was born to parents, Mac and Esther Blanchard, on May 14, 1933. He grew up in the Gallatin Valley. 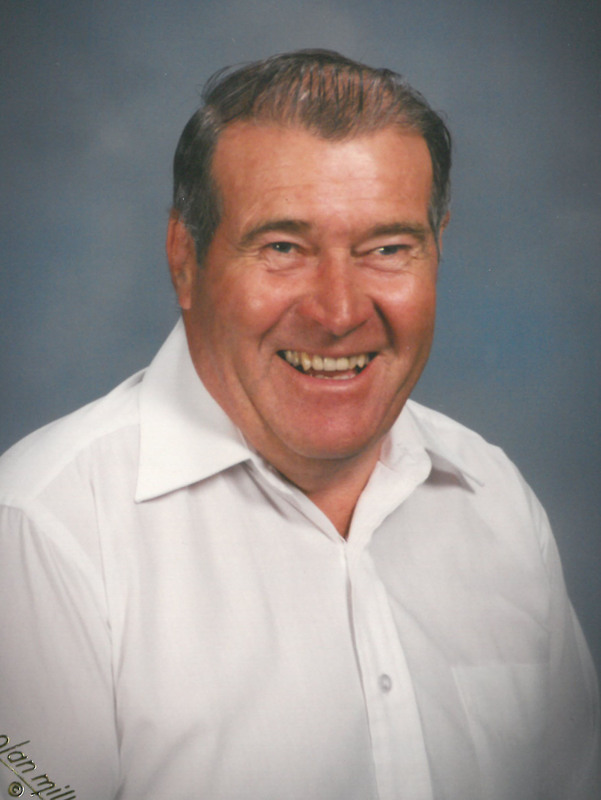 He began his schooling in a one-room schoolhouse and graduated from Bozeman High School in 1951. He also helped his family by working at the family sawmill. Allen joined the US Army in 1951 and actively served until 1955. He worked in communications/radio and served in the Korean War. Allen started his employment career in 1956 with AT&T, where he worked for 28 years and retired as a Foreman. He also joined the National Guard and became a pilot, Warrant Officer 4, flying helicopters and fixed wing aircraft. After retiring from the National Guard, Allen continued his love of flying by flying helicopters for the US Forest Service for 8 years. He mastered the skills of the “Bambi Bucket” and inserting firefighters to the fire locations. Allen always loved horses and eventually built his “ranch” with wife, Dona, where they raised and enjoyed their horses. Allen enjoyed being involved in many different activities such as motorcycle riding, snowmobiling, waterskiing, hunting, and fishing. Allen always had a twinkle in his blue eyes while teasing others. He had a great sense of humor and was helpful to anyone and everyone. Allen was preceded in death by his parents; mother-in-law Anne Tomlinson; brothers James, Warren, and Glen Blanchard; and daughter, Anita Gomez. Allen is survived by his wife Dona Blanchard; sister Ruth Hallam, daughters Rhonda Schlosser, Noreen Landwehr, Lori Quiqley, and Arlene Heckel; 12 grandchildren; and 2 great grandchildren. He will be missed by all. Viewing will be from 4:00 p.m. to 7:00 p.m. on Wednesday, September 12th at Anderson Stevenson Wilke Funeral Home, 3750 N. Montana Ave. A funeral service will take place at 12:00 p.m. on Thursday, September 13th with a reception to follow at the funeral home. Burial with military honors will follow the reception at the Montana State Veterans Cemetery at Fort Harrison. Please visit below to offer a condolence to the family or to share a memory of Allen. Spending a weekend camping with Uncle Allen and Aunt Verla and our families was always a wonderful time. Our dad, Jim seemed to really enjoy his little brother and those camping trips were his joy too. I remember being taught to water ski by Uncle Allen then after I learn to ski being pulled by the boat he was driving and trying to not fall as he cut short corners to try to dump me! My children JD and Amanda both enjoyed camping with grandparents and great Uncle Allen and Dona. Alison and I were so glad to visit with them at our mom, Lena’s funeral. It had been a while for me since I had seen him. I know he will be missed by many and I praise God I had a fun and exciting Uncle Allen. Deepest condolences to the Blanchard family and friends for the loss of your loved one Allen. Very soon Jesus Christ will resurrect the loved ones we have lost in death back to life Acts 24:15; John 5: 28, 29, right here on a brand new Paradise Earth no more sickness pain or death Life Without End Revelation 21:1-5. We were so sorry to hear about Al’s passing. Al and Donna were some of our first clients when we came to Helena and they soon became friends. We will miss his genuine niceness and his wonderful smile.